Yep. You can have an actual zip line in your backyard. There’s actually a kit for it. Who needs a tree for a cozy kids’ house. Just put one straight in the yard. Take chicken keeping to a whole new level with this. With this relaxing bed, you have a canopy for shade and the nice swinging action of your standard swing. Make a trampoline even more fun by making it tented. Read while sunbathing without having to get a crick in your neck with this chair! 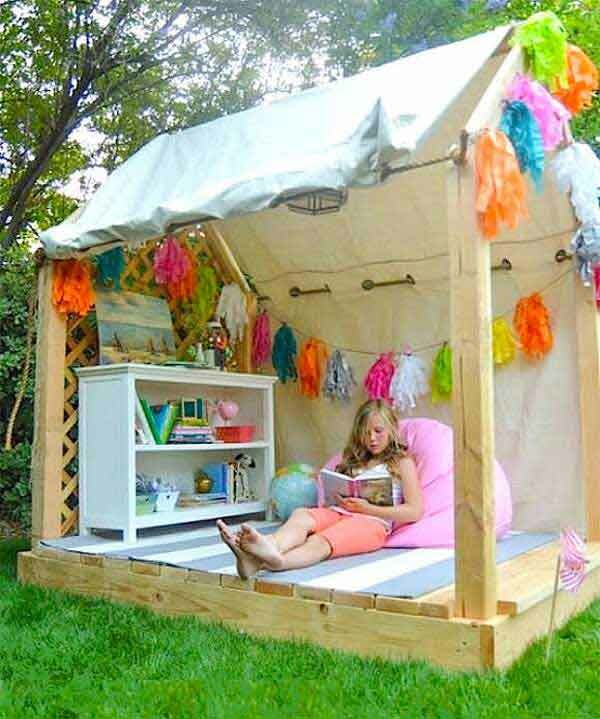 Cozy up in your backyard in this comfy tent. This is an inflatable backyard movie screen you can actually buy at Walmart.